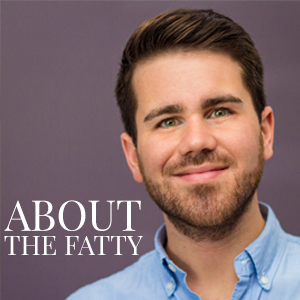 Just in case any of you, like myself, are on an all-carb diet, this post is for you! After making delicious white chili, I decided that a regular bowl just wasn’t going to cut it. 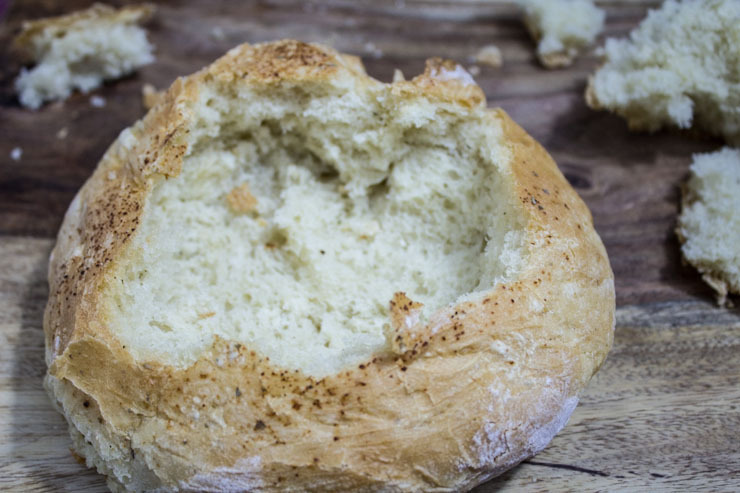 As you all know, everything is better when served in a warm, fluffy bread bowl! These went perfectly with our White Chili! Bread making really isn’t all that difficult. The results are sooo much better than anything you would buy at the store. A few little tips to follow, and you’re set. When letting the bread rise, you will need a warm, draft-free area. I generally turn my oven on for a couple minutes and shut it off. Mix the dough with a dough hook in the mixer, throw a kitchen towel over the top, and throw it in the slightly warm oven. I prefer to boil some water and place it in an oven-safe dish under the bowl with the bread in the oven. This added moisture helps with the rising process, especially when it is dry and cool out. Check out that unintentional Mickey! After you let the dough rise for 30-45 minutes, or when it has doubled in size, punch it down and cut it into the shapes that you want. For this recipe, I ended up with three fairly large bowls. Place the split sections on a lined pan and back into the oven to rise again, about 30 minutes. They will almost double again, so take that into account when you cut them to size. Remove and pre-heat the oven. Cook as the recipe states. These are the perfect companion to any soup or chili. You could even modify the recipe to smaller rolls, if that’s what you want. Adding some spices/herbs is also a great way to personalize these delicious bowls for whatever meal you are making them for. 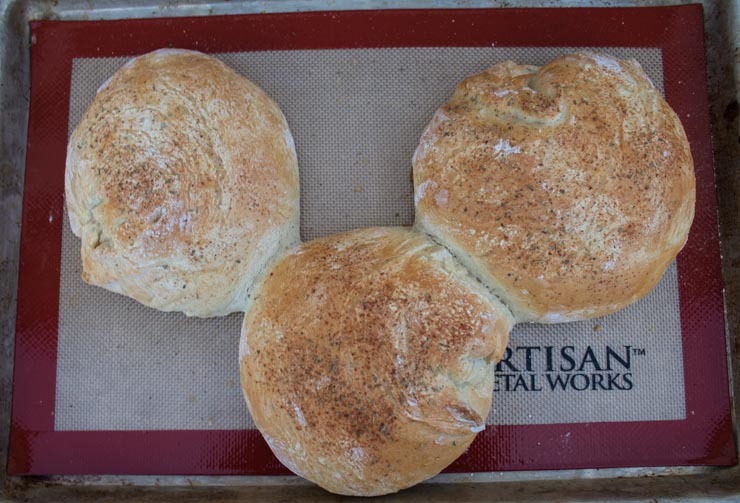 I’ve had great results with making these into sub-like shapes, sprinkled with some cheese for an amazing meatball sub! Fluffy, fillable bread bowls for your favorite chili or soup from SouthernFATTY.com! Dissolve yeast and sugar into hot water in mixing bowl. Let sit for ~ 10 minutes to activate. Add flour, seasoning, salt, garlic powder and mix until well combined and pulls away from bowl sides. Knead dough for ~ 5 minutes until smooth. Put some olive oil in bottom of bowl. Transfer dough to bowl, coating entire ball well with oil. Let rise in warm place (I prefer slightly warmed oven with water in bottom... see blog post for instructions) until doubled in size, about 30-40 minutes. 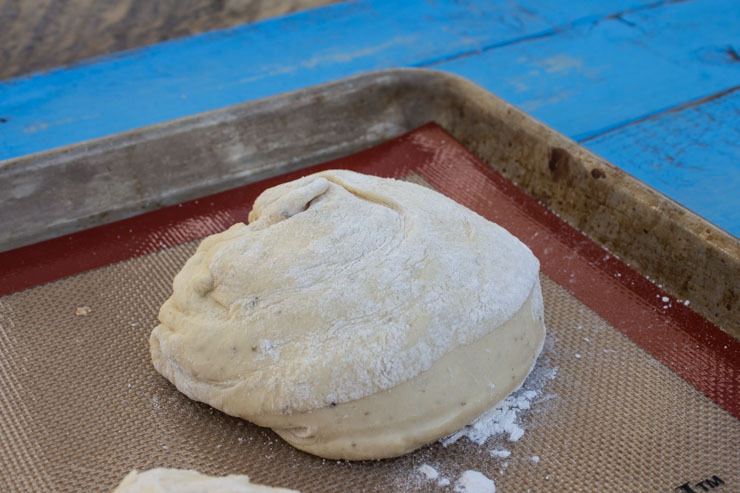 Remove and punch dough down. Divide into pieces and place on lined baking sheet. Return to warm place to rise again until almost doubled, about 30 minutes. Lightly brush egg/splash of water mixture on tops of dough. Bake at 400 F until golden, 12-15 minutes. Remove and cool to eat. Cut out center to fill with favorite chili or soup. 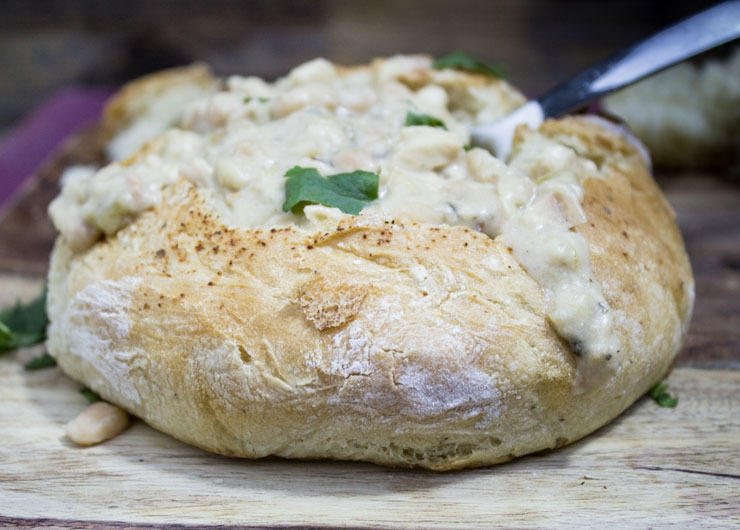 Visit SouthernFATTY.com and tell us what you made your bread bowl with or to see our perfect White Chili recipe to fill them with! Check out our White Chili post for the perfect filler! Let us know how you made these for yourself!